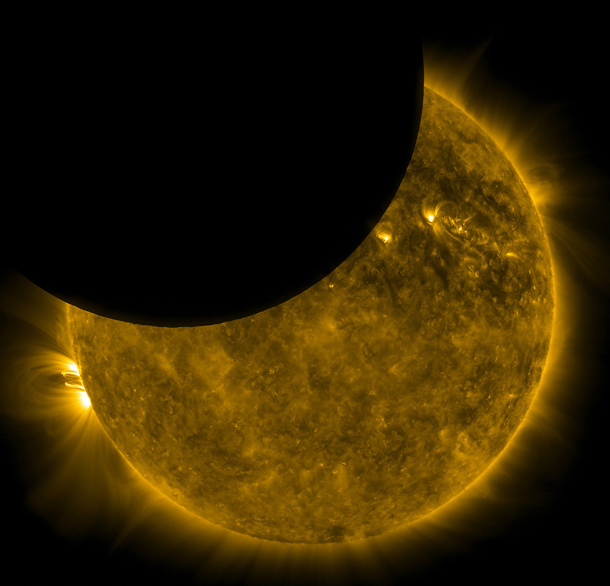 I haven’t done an “astronomy” post for a while, but I loved this shot—a NASA Picture of the Day from mid-October—which shows a partial eclipse of the sun by the moon, as seen from space. By the way, sharing cool photos like this is about as far as my “astronomy” goes, but I hope you get the same buzz out of them as I do. That is a beautiful photo!!! I think that’s why I love astronomy photos so much—they give me so many “awesome” moments.